Employment - RCB Industries, Inc.
RCB Industries, Inc. is first and foremost quality and productivity oriented. We believe that to obtain the best results, all employees will learn the installation process as soon as possible. This results in a flexible and well trained crew, and a stimulating work environment. We offer a 401K retirement plan in addition to health insurance, mileage compensation, paid vacation and paid holidays. You will work for a management team consisting of former technicians each with over 30 years of field experience. We fully understand the industry from Installer to Manager to Customer and work at satisfying all involved. NOTE: As a condition of employment, all employees will have a background check performed, as well as random drug testing. We are looking for individuals with the desire to learn a trade that will provide a good income right through retirement. 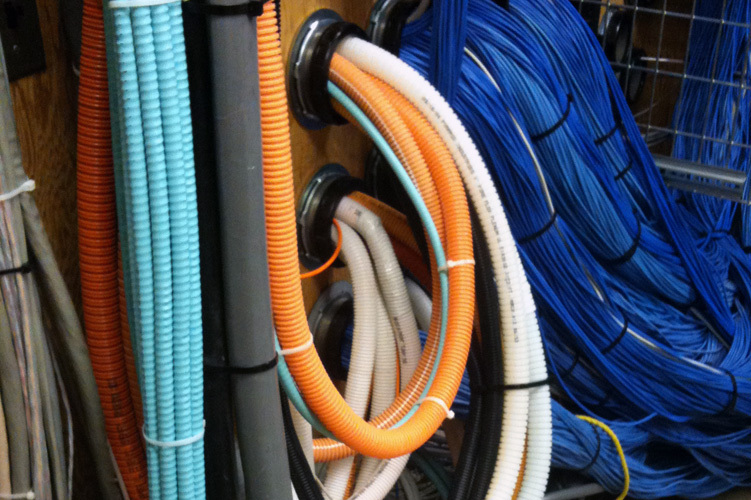 We can hire people with no previous training, and put them to work installing telephone and computer cable. Requirements: A willingness to learn a trade and an open mind. Overtime is frequently required due to the nature of the communications industry. A high school diploma or GED is required. You must have a valid Michigan drivers license, a dependable vehicle and current vehicle insurance. You will purchase basic tools. Work boots, a neat appearance and the ability to follow instructions is required. The cable installer will have at least one (1) year of experience pulling cable. You may or may not have the following skills - we will train you as required. Requirements: A willingness to learn new methods and procedures as well as share your own methods and ideas with others. You will own basic tools and be issued (or purchase) specialized tools. By now you know the nature of this business and its demands. You must have a valid Michigan drivers license, a dependable vehicle and current vehicle insurance. Work boots, a neat appearance and the ability to follow instructions is required. The lead installer will have at least six (6) years of cable installation experience as well as experience installing telephone, public address and computer systems. Requirements: Leadership skills and the ability to motivate others by example while meeting their need for clarity on the expected end results. Interface with main office, and customer contact regarding installation site and customer needs and issues. You must have a valid Michigan drivers license, a dependable vehicle and current vehicle insurance. Work boots, a neat appearance and the ability to follow and give instructions is required.